Ants Go Marching Lyrics, Clip Art, and Activities to go along with the song. The Ants Go Marching s a cute little chant that you can play on the piano as your kids march around in a circle and sing along. The piano is played in the progression of C, B ♭, A ♭ , G (Single notes, you can get fancy if you want!) and is repeated. During the first part of the verse, the piano is played more slowly, using half notes. For the part “And they all go marching” The notes on the piano are played faster one time, using quarter notes. Then, on the word “down”, start the progression again using half notes. I’ve included some ant activities and ant clip art image below the lyrics. Feel free to use it for kindergarten counting activities or as a puppet to go along with this song or anything else for your ants unit! To get out of the rain! 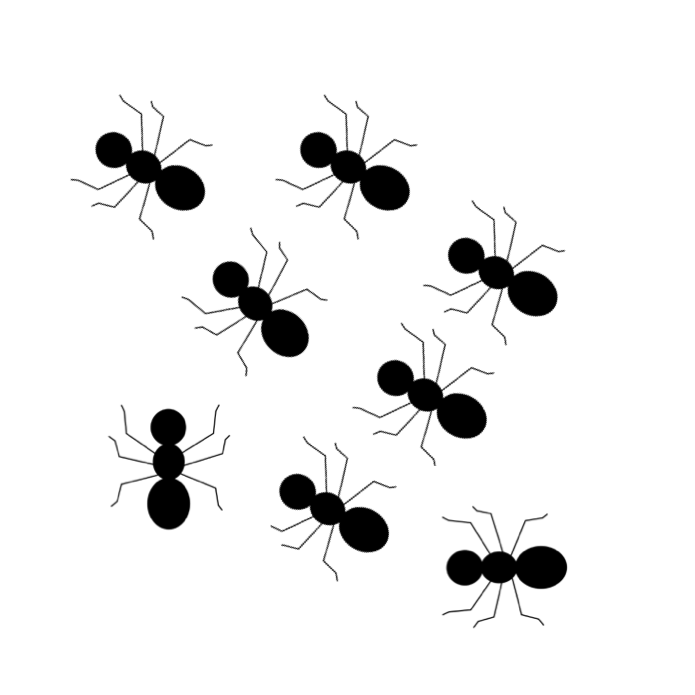 Here is the ant clip art I made for this page to go along with the song. Right click to view the full size image and to save it. Feel free to use it in your classroom and even on your blog or site when you include a link to Kindergarten Nation!